An intense tale of love and loyalty set against the backdrop of endless summer island life from bestselling and beloved author Elin Hilderbrand. Greg and Tess MacAvoy are one of four prominent Nantucket couples who count each other as best friends. As pillars of their close-knit community, the MacAvoys, Kapenashes, Drakes, and Wheelers are important to their friends and neighbors, and especially to each other. But just before the beginning of another idyllic summer, Greg and Tess are killed when their boat capsizes during an anniversary sail. As the warm weather approaches and the island mourns their loss, nothing can prepare the MacAvoy's closest friends for what will be revealed. 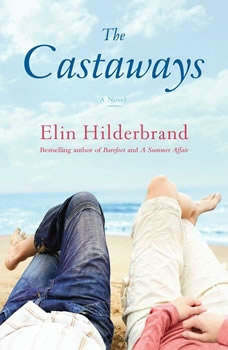 Elin Hilderbrand was born and raised in Collegeville, PA, but spent most of her childhood summers playing on Cape Cod. Her father died in a plane crash when she was sixteen years old, so unfortunately that ended the Cape trips. Her summers were now spent working, but she promised herself that for the rest of her life she would always have a real summer. She moved to Nantucket in July 1993, took a job as "the classified ads girl" at a local paper, and later started writing. Elin says she does her best writing while on the beaches of Nantucket or along the beautiful streets of Beacon Hill in Boston. She is a breast cancer survivor and currently lives in Nantucket along with her three beautiful children.